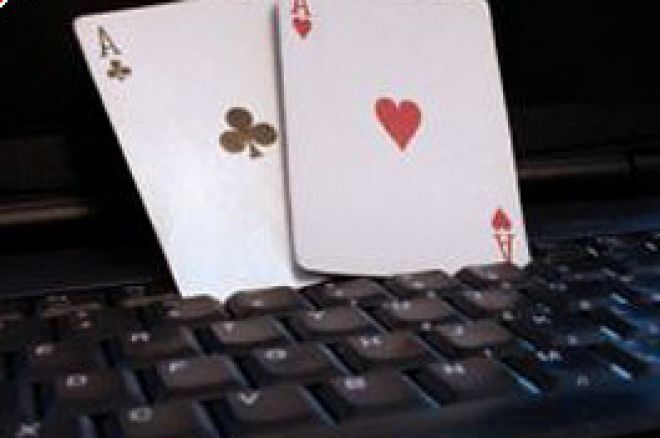 February's third Sunday saw big poker events unfolding all over the online map. Full Tilt's third FTOPS series concluded with its Main Event, where a huge field competed for the weekend's biggest prize. The Poker Stars Sunday Million featured a friendly five-way chop, and a frequent final-table player in the Party Poker $300K finally broke through to the winner's circle. The Full Tilt Online Poker Series concluded its ten-day run last night with the Main Event, which drew 3,217 players and featured $1,608,500 in prizes. The top 459 players cashed, with the top 15 spots receiving five-figure paydays, and a first place award of $288,001.93 the prize in everyone's sights. 'tsarrast,' who claimed fourth place in FTOPS #3 just one week earlier, led the way to the final table with about $3.25 million in chips. Nearly twenty hands before the first knockout occurred, when 'bokpower's all-in with failed to improve against the of 'Boosted J,' with the board bringing . Next, tsarrast caught a break to send 'CoinFlip' to the rail in eighth, tsarrast's winning out over CoinFlip's when the board arrived . tsarrast's rush continued as he won another big pot with , topping 'THEOLDLION's pockets on a board of , where both players were all-in pre-flop. And not long after, 'traheho' won an all-in showdown with against the of 'Balforios,' with Balforios headed to the rail in sixth after the board paired both players but kept traheho ahead. 'MychCumstien' made a deep run but departed in fifth, out when his ran into traheho's , with a raggy helping neither player. traheho would pick up the next knockout as well, after 'Miss Lulu' moved all-in with , and traheho came over the top, holding , the flopped trips as the board finally displayed . traheho soon padded his lead by sending tsarrast to the rail; on that hand, tsarrast made an aggressive re-raise with top pair after a flop of ; tsarrast held and moved in for a significant portion of his chips. However, traheho held , moved in, and a pot-committed tsarrast made the call. The board completed with , and heads-up action between traheho and Boosted J began. The heads-up match lasted exactly five hands, concluding when traheho found as Boosted J discovered . The chips went in, the board arrived , and traheho's A-K had stood up for the FTOPS III Main Event title. 6,637 of the best players at Poker Stars joined in the latest edition of the Stars Sunday Million. First prize worked out to be $190,880.12, and the total purse was $1,327,400, distributed across 900 players who made the money. 'amosa,' with about $12.4 million in chips, was the leader as the final table began. A long final-table bubble meant two or three short stacks were in immediate peril, and one of those departed right away; 'jdi23' was forced in with against the of 'CharlieBraun,' and finished in ninth when the board came . 'TheWeapon007' ran out of bullets ten hands later, dashed by CharlieBraun's when the river brought the . Just four more hands elapsed before drylake suffered the same fate, losing in tough manner with against CharlieBraun's when the first card off was the . Just moments later, 'ISmashUrhead' sent 'AABenjaminAA' to the rail in sixth, an connecting against AABenjaminAA's when the board delivered . At this point the five remaining players agreed to a deal, leaving $30,000 and bragging rights to play for. The deal came not a moment too soon for 'swedenyes,' who flopped a set of fives, starting with , but lost out to amosa, who started with and rolled the dice on a double-belly draw after the flop, and connected when the river brought the . (The entire board for the hand was .) Then CharlieBraun ended ISmashUrHead's run, winning a race with against ISmashUrHead's , connecting with a board. A three-way all-in hand then saw amosa fall by the wayside; amosa started with , CharlieBraun , and a short-stacked 'Randar58' with . The board arrived , letting dominating chip leader CharlieBraun send amosa to the rail, but letting Randar58, behind the runner-runner flush, live on. Randar58 put up a game fight, but finally fell on a hand where he started with , CharlieBraun with . Both players caught a piece of the flop, and CharlieBraun checked, Randar58 moved all-in, and CharlieBraun made the call. A turn gave CharlieBraun extra outs, and a river gave him the winning two pairs. Big numbers again turned up for Party Poker's newly increased $300,000 Guarantee. 1,516 players meant for $303,200 in cash prizes, spread out over 200 players, with $60,640 the first-place prize at the end of the chase. Sweden's 'XX_GALTEN_XX' and 'santucci88' made late surges to lead the way to the final table, this marking the fifth time in recent weeks that XX_GALTEN_XX made this event's final table. 'TCarrico' was the first final-table player to depart, at XX_GALTEN_XX's hands, when TCarrico's pocket tens ran into XX_GALTEN_XX's jacks, finding no help on a board, and then XX_GALTEN_XX had pocket jacks work again, this time when 'doooku' missed the in its entirety. Then santucci888 wielded the knockout stick, first coming from behind with to win over 'zillick's , when the board paired his six. Moments later, santucci888 schooled 'pokrclass101,' catching trips with against pokrclass101's on a board. santucci888 made it three in a row when his came through against 'soulwarrior3's , pairing the eight on a the flop where the whole board arrived . Then XX_GALTEN_XX claimed another victim when a fateful turn put a short-stacked 'TheProph1t' all in; TheProph1t had , XX_GALTEN_XX , and the hand played out . After a break, XX_GALTEN_XX won another all-in race to trim the field to three, his making a straight against the of 'machiave99' on a . A key hand of the tournament saw XX_GALTEN_XX knock out santucci888, when santucci888 must have put XX_GALTEN_XX on a bluff and made an all-in call after a flop. XX_GALTEN_XX showed for top pair, while santucci888 held only for a thin draw, which went unfilled when the board finished with . At this point, XX_GALTEN_XX held over 90% of the chips against the lone survivor, 'goddi3,' but goddi3 then doubled through quickly twice, and trapped XX_GALTEN_XX into a forced laydown on a large pot to square the match. goddi3 surged ahead and seemed poised to put the title away when he got all the chips in with against XX_GALTEN_XX's , only to see XX_GALTEN_XX catch a jack to move back into a commanding lead. XX_GALTEN_XX finally claimed his win when both players caught a piece of a ragged flop, goddi3 with and XX_GALTEN_XX with , and the turn and board completed XX_GALTEN_XX's victory. Ultimate Bet's Sunday night $200,000 Guarantee drew solid numbers, but still left an overlay in place as a bonus to the players. 858 players ponied up the $200+15 entry fee and 200 players made the money, with first prize worth $45,000. 'highroller48' and 'Ivor Biggun' led the charge to the final ten, with each having amassed over $500,000 in chips. The first knockout came when 'YRWTHMELTHR' transformed into a flush with a board, topping a short-stacked 'Big Gator,' who was all-in with . Just moments later, 'aakkjj' sent 'DrHam' to the rail, with winning against when the board arrived . aakkjj also delivered the next knockout, when his held up against the of 'A_9_A_8' when the board offered . And then YRWTHMELTHR fell, despite a willingness to mix it up at the final table, when his lost a race to highroller48's , the board improving neither player. Sixth place went to 'KTQ' in a hand where couldn't overtake the of 'gboro780,' with a board of offering, then dashing added hopes of a rivered flush. gboro780's night, however, ended only one spot higher; highroller48 played out of the small blind and hit it big with trips on the flop (the entire board arriving ), and induced gboro780 to call of his remaining chips behind a holding. Not long after, Ivor Biggun bowed out after not being able to muster a final-table charge. On the knockout hand, he held to highroller48's , but lost the race when the board arrived . 'Yankees31' made a deep run with a smaller stack, but also fell to highroller48's rush. On the knockout hand, Yankees31 had and flopped a set, the flop being . The two players got the chips all-in at that point, with highroller48 having for a straight draw, and an on the turn made the straight, with a river missing Yankees31's redraw outs. That left aakkjj, who put up a good fight before ending up all-in and dominated, with to highroller48's . The board showed , giving highroller48 two pairs and the win.